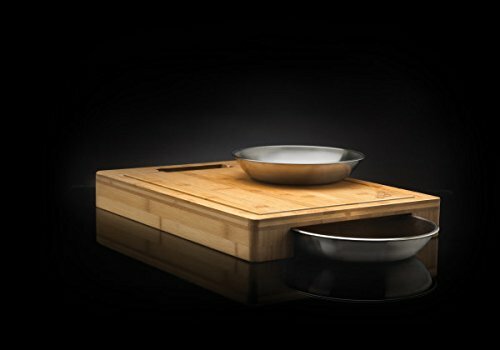 Napoleon pro series cutting board & bowl set comes with durable bamboo cutting board & two stainless steel bowls. With an anti-bacterial surface made from bamboo wood, the napoleon cutting board is perfect for prepping foods for your grill. The two stainless steel bowls conveniently hide away inside the clever cutting board design. Also included in the clever design is a trough that will capture the juices that can easily be poured into the bowls through the handles. If you have any questions about this product by Napoleon, contact us by completing and submitting the form below. If you are looking for a specif part number, please include it with your message.